One of these special days, my mom heard from one of her colleague that they sell bananas today. Usually, by the time work was over, the bananas would be sold out or the shopkeepers would have held on to some and sell them under-the-counter to their friends, neighbors, and family. Our shopkeeper had a big heart for children. So she would keep some for parents with young children. 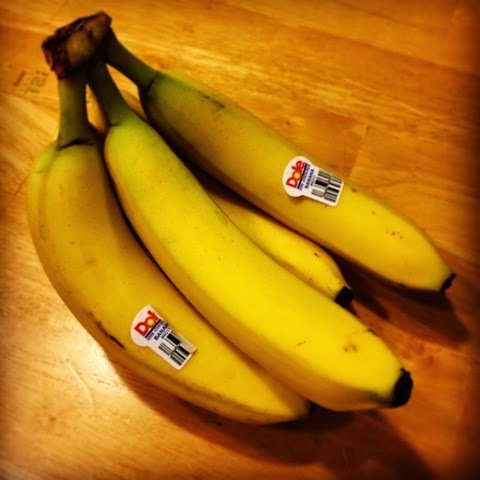 That day my mom got lucky and brought home some bananas. Eating bananas was like a big celebration, especially for me as a toddler. My mom would prepare a couple of slices of bread with butter and cut the bananas into little cubes and put them onto the slices of bread. It was a feast! I still remember the fresh and sweet taste of my first banana. Shortly after the wall came down, bananas became a normal part of everyday life. Now and then, I remember my first banana and am happy that future generations will grow up in a world of abundance and not scarcity.